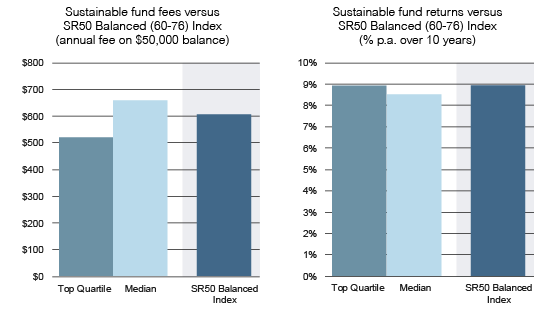 the median performance of ‘sustainable’ investment funds is lower than the median performance of the SuperRatings SR50 Balanced (60-76) Index, comprised of traditional balanced super funds. Furthermore, the ‘sustainable’ funds have higher median fees. The combination of the two means a sizeable number of ‘sustainable’ funds produce sub-optimal returns at relatively high fee levels. Negative screening is where your fund avoids companies that don’t meet particular ethics. There are 1,600 stocks in the MSCI World Index – a common investing benchmark containing only very large companies. If you give fund manager A the ability to invest in any stock and fund manager B the ability only to invest in 800 of the better ethical stocks, then you are asking fund manager B to beat fund manager A with one hand tied behind his back. Occasionally it will happen but usually it won’t. If you are avoiding battery farm eggs, avoiding non-fair trade coffee or ticking the box for green energy, you don’t expect a discount vs the alternative. Think of ethical investing in the same way – expect to give up a little performance, and occasionally you will be pleasantly surprised when it outperforms. This is why I prefer ethical investments where each investor can tailor what is excluded and what isn’t. If you feel strongly about tobacco but not about gambling or vice versa then you will have a larger opportunity set than the investor who cares strongly about both. Positive Screening: What you are really trying to do? Positive screening is where your fund tries to buy companies that meet particular ethics. Positive screening is difficult – finding stocks that are good quality and cheap is hard enough, let alone adding a condition that they should be saving the planet. If you find a stock with very positive ethical characteristics that is only average quality and the stock is very expensive should you buy it anyway, expecting a poor return? Make a donation. Are you trying to help or are you trying to make money? If it is the first then by donating you can feel good straight away, you get a tax deduction up front (rather than waiting to book a capital loss when you sell shares!). Donating directly to companies is not generally tax deductible – but I’m guessing if your cause is ethical then there will be industry bodies that are tax deductible. Buy the product yourself. Most companies want more customers rather than more shareholders – and the ones that don’t you shouldn’t be investing in. Buy shares from the company in a capital raising. That way your money will actually go to funding the company expand or its research and development. Buy shares on the market. This is the least helpful way of helping the company. All you have done is transferred money to another investor. If you want to make the world a better place using your money, consider other ways first – would a donation be more helpful? 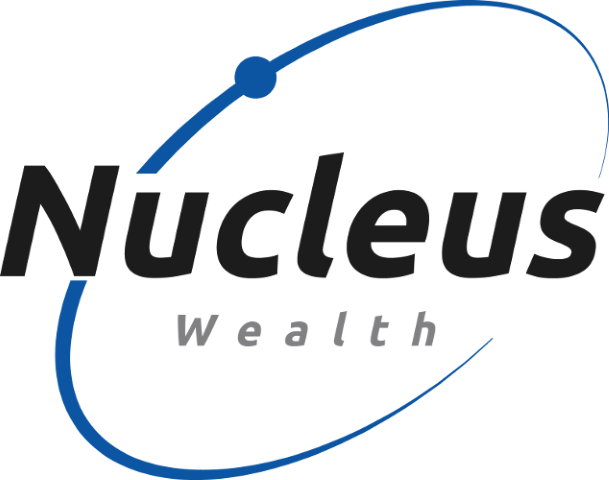 If you want to ensure your investments don’t make the world worse, then find an investment product that avoids stocks that align with your values or use one like the Nucleus fund that allows you to customise your ethical choices. I’m sure there are plenty of jobs that you wouldn’t do, regardless of how much more money you get paid. Why should your investments be any different? Check the fees. Please. Few things in the investment world irk me more than seeing ethical funds sold for unethical fees.